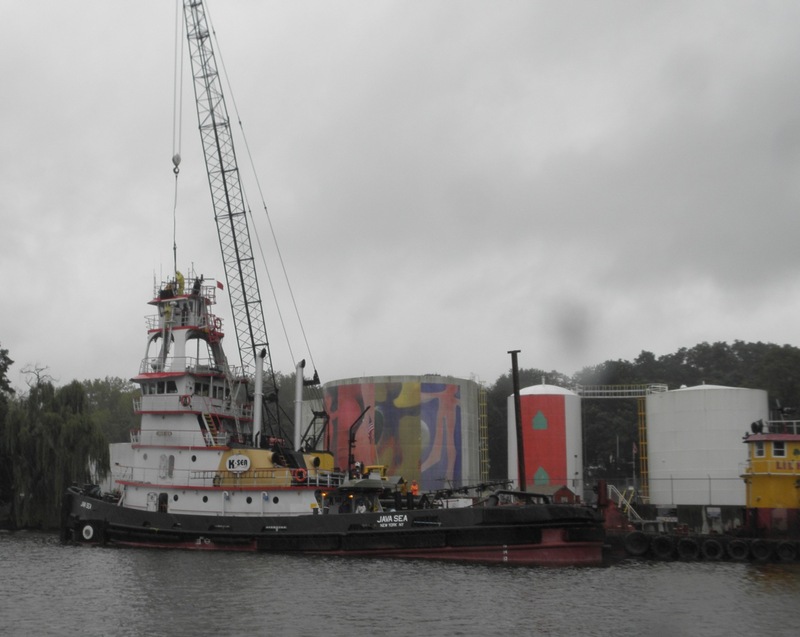 Reference “Random Tugs 44.” The first time I saw Lil Rip, I didn’t even take a foto: I was in the Feeney yard on the Rondout, steady rain was creating lots of mud, and the only parts of Lil Rip visible to me was the house and name. But that was enough to intrigue me. 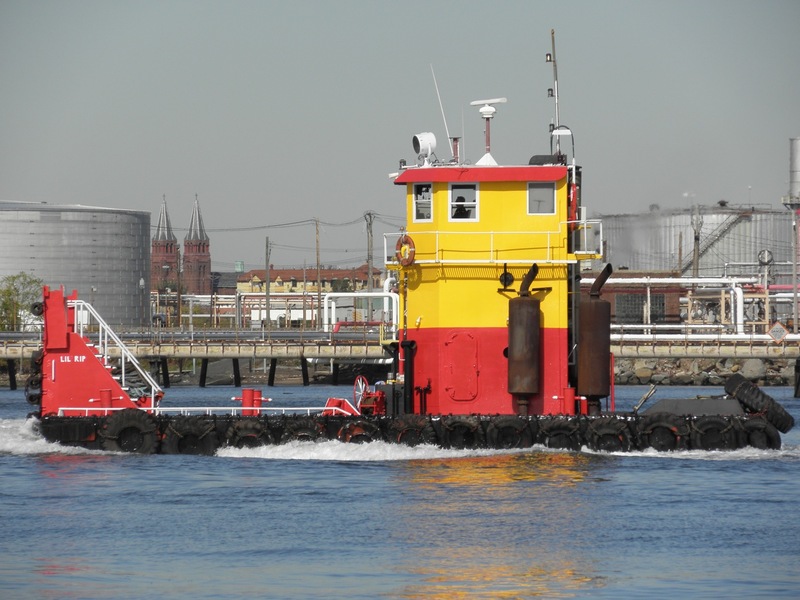 Months later, I spotted it a second time: also in the Rondout dwarfed by almost 80′ of air draft on Java Sea. On this September afternoon, I took only a few shots before I wrapped my camera in plastic. I put up some preliminary fotos and a question a week ago, and have since learned more, which I’m thrilled to share. Example: Three exhausts ventilate three engines, three GM12V-71 engines that generate 1500 hp and spin three screws. I’d love to see her on the hard now. 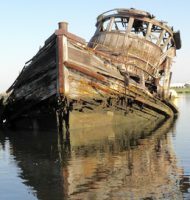 Part of Lil Rip began as a 52′ section of Liberty ship being scrapped at the scrap yard of John and Violet Reich. For a name, they called her Jovi II, combining the first two letters of John and Violet’s names. Jovi II replaced a smaller boat, Jovi. Does Jovi still exist? 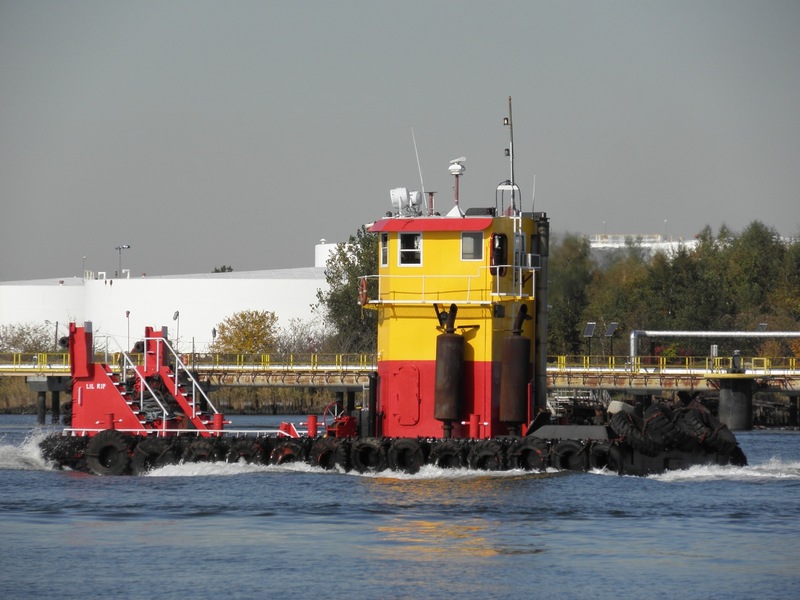 Jovi II‘s twin engines generated just under 500 hp and moved scrap scows up and down the Hudson. I spotted her last week, leading to my learning all this new info. 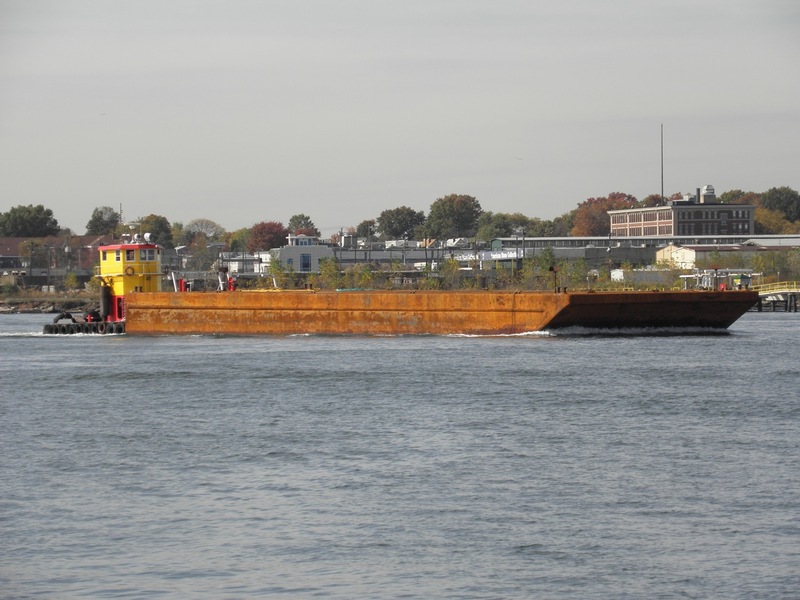 And adopting another favorite from upriver: Kingston and the Rondout are home to so many interesting vessels. 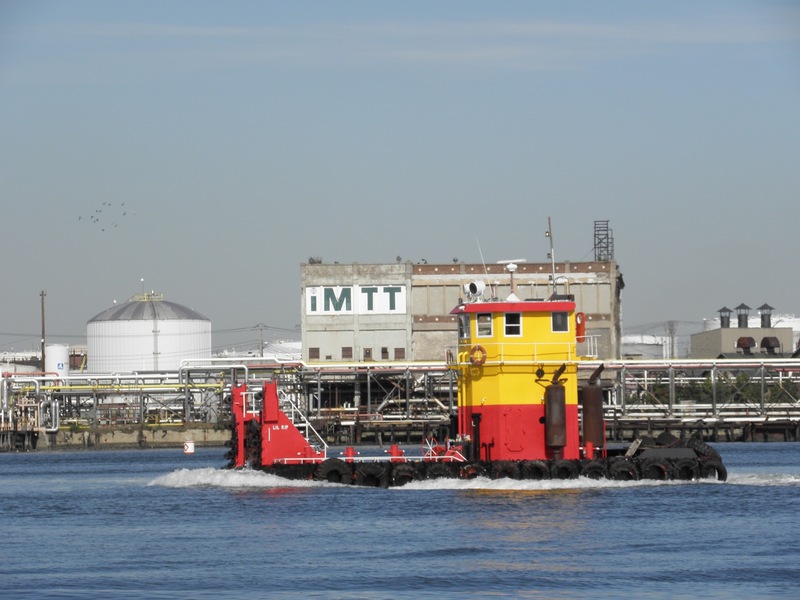 I’ll take a risk (of leaving someone out) and list them: Cornell, now all-gray Hackensack, Spooky Boat, Hestia, 1956 Gowanus Bay (former ST 2201 and a major character in Jessica Dulong’s My River Chronicles, 1881 tug Elise Ann Conners, and PT728. Who did I omit? The Rondout is a must-visit creek if you’re nearby. 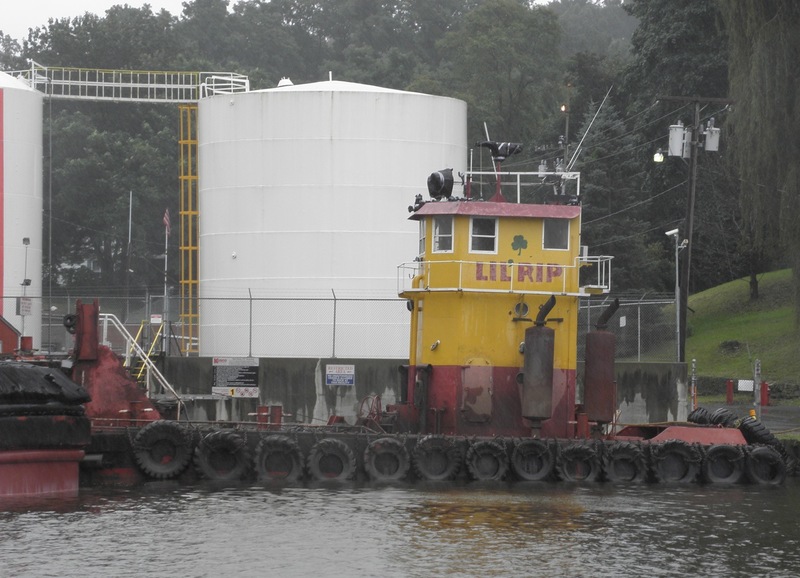 Is Lil Rip the only triple screw on the Hudson? Is anyone willing to share a foto of Jovi II? Thanks to Tim Feeney and Harold Tartell for some of this information. All fotos by Will Van Dorp. Unrelated: a hearty tugster salute to engineer Tommy Bryceland, working the North Sea aboard Svitzer Milford. Send me some news and fotos from your part of the waters, Tommy. Will, The Pegasus is also tripple screw. The new one, that is. We went head to head with her at the races this year with the Cornell. Tugster — I am still puzzled as to why we can’t find her in the NVDC list as given her work, she surely must be documented. Still puzzled.